In these 5 days of cycling tour, you will cover two western districts of Bhutan, Paro and Thimphu (capital). Besides cycling, this tour also includes hiking to Bhutan’s most iconic monastery, the Taktsang; also known as Tiger Nest Monastery, located at Paro. After breakfast, ride till Taktsang base from where the hike begins. 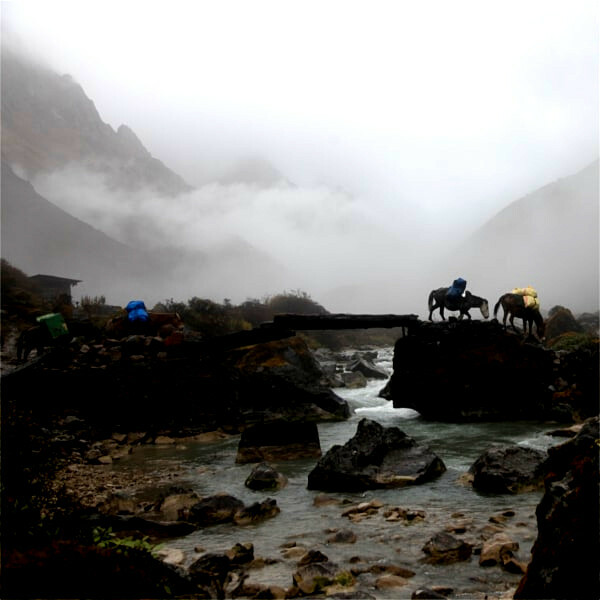 Horse riding facilities are available till view point, while hiking up, provided you inform us few days earlier. After coming back from Taktsang monastery, we will visit to Drugyal Dzong. 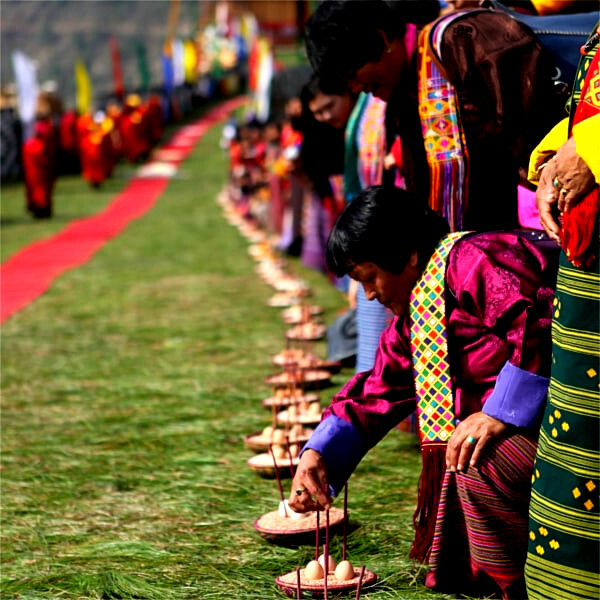 Today we will head towards Thimphu, the capital city of Bhutan, located 65 km east of Paro. At Thimphu, we will ride around Dechencholing, Sangaygang and Buddha point. Located 23 km east of Thimphu city, Dochula pass at the height of 3100 m above sea level is Bhutan’s most decorated and beautiful pass. On this pass is 108 stupas called Druk Wangyal Chortens, built by Queen mother Ashi Dorji Wangmo Wangchuck. There is also a temple called Druk Wangyal Lhakhang built in the honour of fourth king of Bhutan, Jigme Singye Wangchuck for his service to his subjects. The front yard of this temple is a venue for Druk Wangyal festival which is conducted annually in the month of December. On the backdrop of this pass is the stunning view of snow capped mountain ranges and amongst which is Bhutan’s tallest mountain Mt. Gangkar Puensum (7570m). Down below, to the other side of Dochula pass is Wangdiphodrang and Punakha district; which are also amongst the favorite destination for tourists but due to time constraint, we will head back to Thimphu from here. 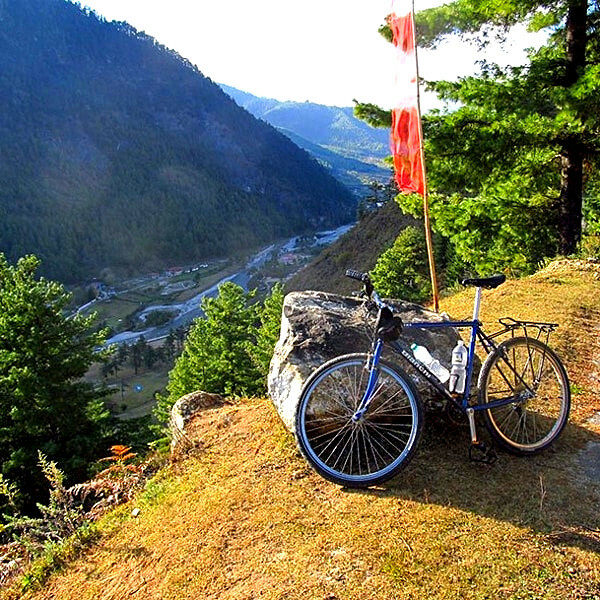 Once you reach Thimphu, your actual cycling tour comes to an end. We will hand over our bikes and head back towards Paro.